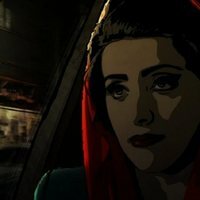 Tehran Taboo tells the story of three individuals living in Iran. The first is a prostitute, Pari, who wishes to divorce her drug-addict husband, currently in prison. The second is Sara, Pari's neighbour, living with her repressive husband and his parents, who do not let her work. The third, is a young musician called Babak. Despite the latter male character, the film is very much about female sexual and personal expression, as it seeks to expose the expectations of women in the Islamic society of Teheran. 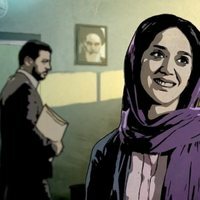 Tehran Taboo very much focusses on the struggles and tragedies of its characters, and as much of an eye-opener as it is, the film does not make for pleasant viewing. 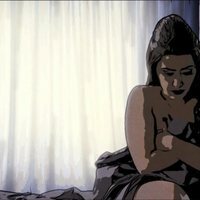 Originally filmed with real actors, Tehran Taboo is an animated film. Write your own 'Tehran Taboo' review. 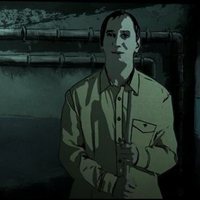 Winner of the award for Best Animated Feature Film in the 2017 Sitges Film Festival. The film was released worldwide in Cannes 2017, in the Critic´s Week section. The director was born in Iran, the country he portrays here, but he soon moved into Germany, where he is still living.